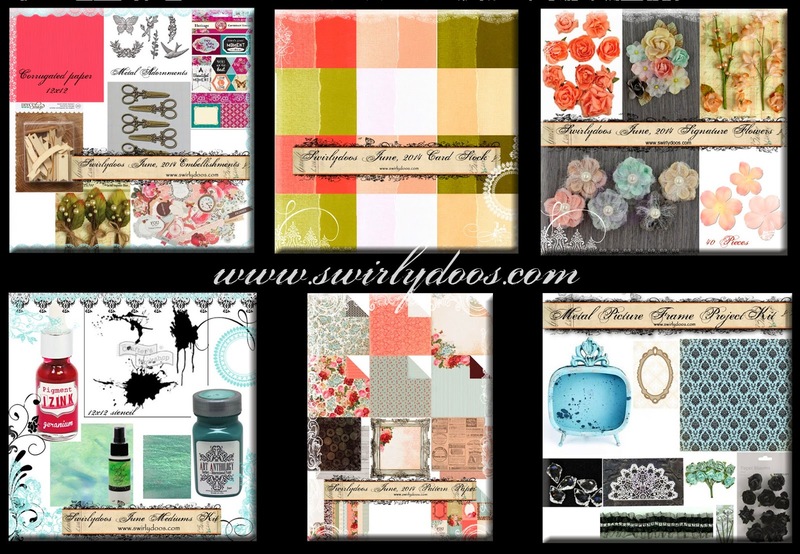 Scrapping Fancy: Swirlydoos June Blog Hop and Reveal! 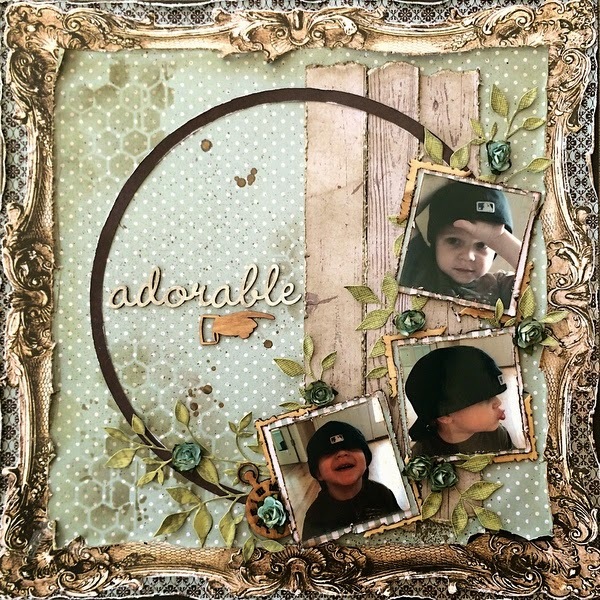 Swirlydoos June Blog Hop and Reveal! If you came here from Kim's blog, then you are on the right track. If not, go back to Swirlydoos' blog and start from there. We have some amazing projects for you to see today !! Make sure to leave a comment on all of the blogs for a chance to win!!! Make sure you have LIKED & FOLLOWED Swirlydoos on Facebook!!! Oh my, this Rose Bouquet kit screams SUMMER! I love it so much! Here's what I've done with the kit so far. 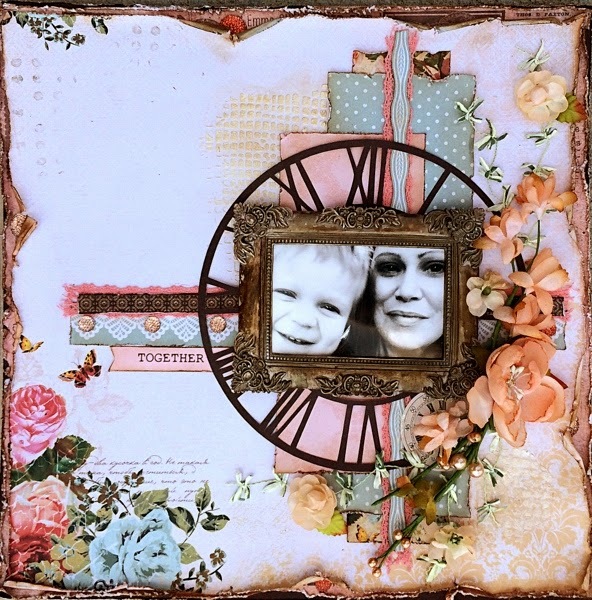 I LOVE this Prima picture frame, and it is PERFECT for the Rose Bouquet kit! Everything except the small piece of lace, a couple of blue flowers, and the resin angel are from the Rose Bouquet kit collection. This layout is based on the June sketch. The pictures are of my sweet Elijah playing with Daddy's hat. :) I'm probably biased, but I think he is flat adorable. 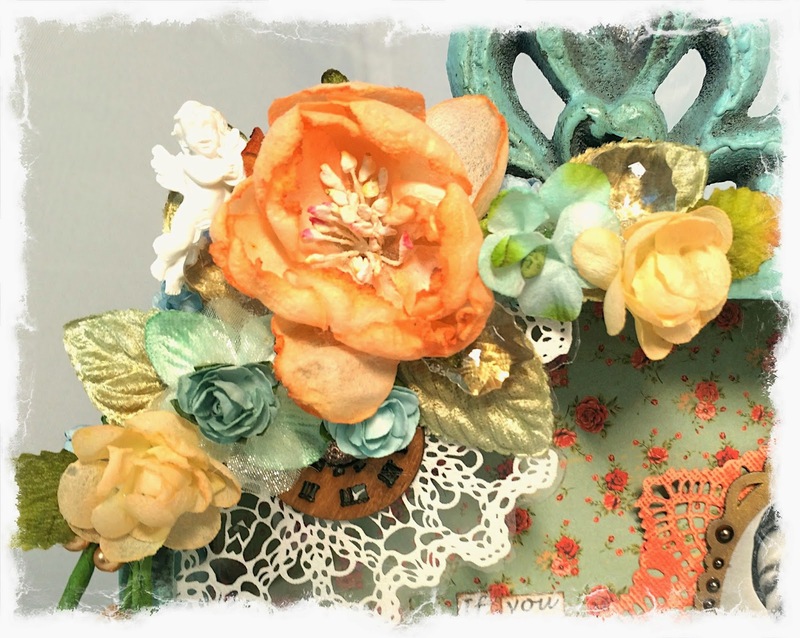 The "adorable" title is a piece of Blue Fern Studios chipboard from my stash, but everything else is from the Rose Bouquet kit collection. I loved the blue and brown/tan tones of this kit, and I thought it was ideal for a boy page. The Ruby Rock-it wood paper was a little too grey for my color scheme, so I used some Frayed Burlap Distress Ink to make it match. I cut up the strips and distressed them like I did with all of the layers. I cut the circle ring with my Cameo.The foliage is cut out of cardstock from the cardstock add on with a Memory Box die. I added some green dye ink to the leaves, then pinched some of the leaves for some dimension. The photos are framed with some of the wood squares in the kit that I broke up to make corners. The small roses are from the project add on that I inked with brown ink. I snapped this pic of me and my Elijah on Mother's Day! To start, I made lots of layers and have some ripped edges and some of the gems from the embellishment add on peeking out. For the smaller layers, I just used scraps and cut out some pieces to match, mixing them with some of the edges of the Kaisercraft papers and some of the coral lace. The brown clock is cutout of the brown paper with my Cameo. For the resin frame I misted it with some of the new Prima mists, dried slightly, then wiped with a paper towel. The peach flowers are from the flower add on and main kit. I added some of the green trim to the flower cluster. 3: Finally, go back to the Swirlydoos blog and leave a comment letting us know how much fun you had, tell us the sentence that was created with all of the special words you collected! The party continues over at Debbie's blog. Have fun! The tribute to Maya Angelou is beautiful. the layouts are great. thanks for sharing. Your farme is stunning. Love the versatility you got out of the kit. Wow, wow, wow I love your two pages, they are really beautiful but I have to say I really, really, really love your metal picture frame. Love the quote on it! 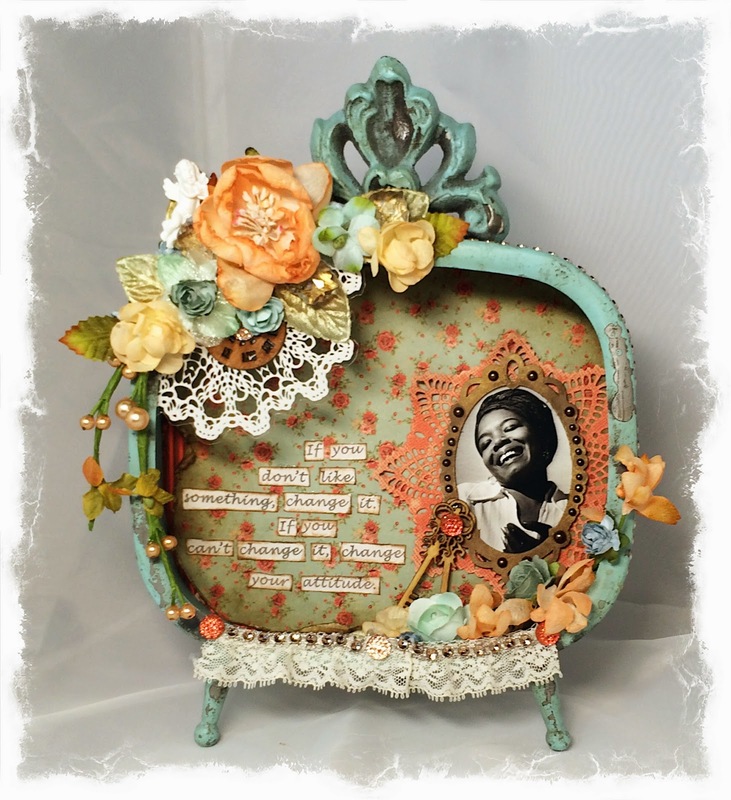 Love your frame and layouts What a great tribute that frame is... love it! 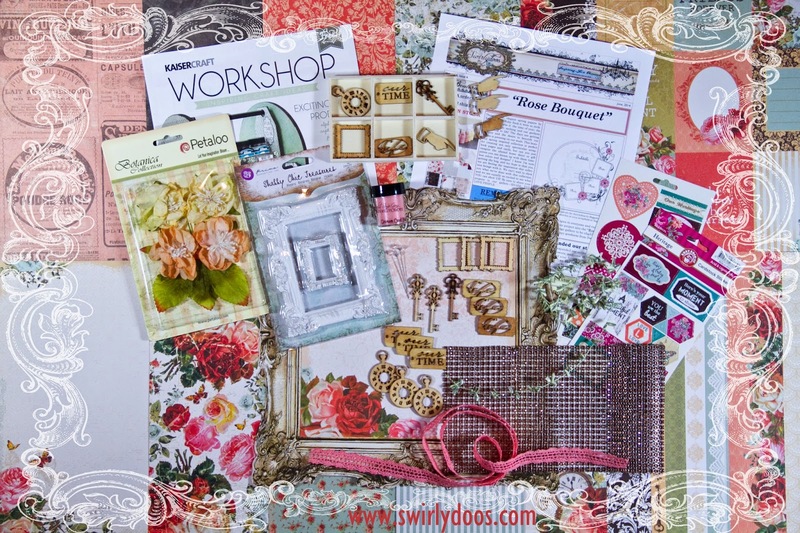 Gorgeous colors and details on all your projects! The kit looks fabulous! Beautiful projects!! I love the adorable layout.... Amazing photos. I love all your projects from today, but the first is stunning really really beautiful! Wow! Such incredibly beautiful projects. Thank you for sharing your talent with us. 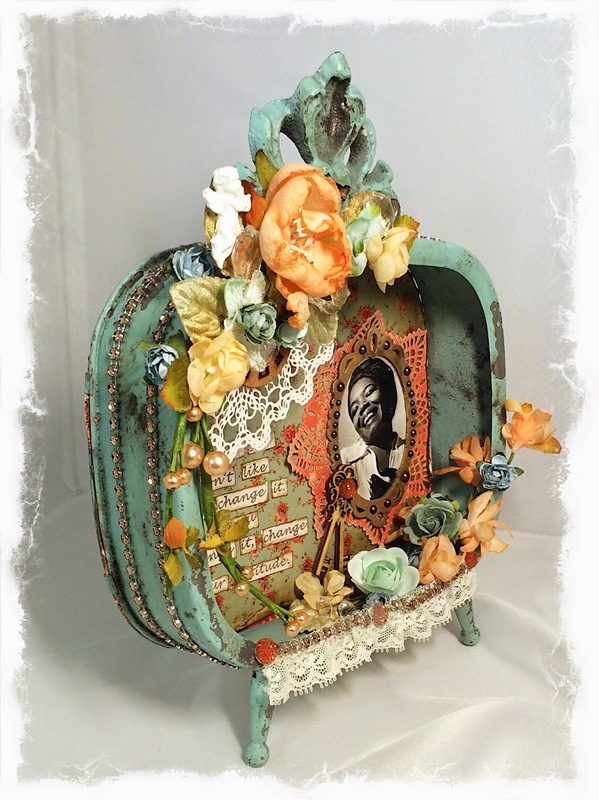 The altered metal frame is fabulous. Oh Rae, your projects this month are amazing, like always! I love, love, LOVE the masculine layout of your son! awesome, as usual, love the metal frame. Thanks, Rae! Your projects are gorgeous! Thanks for the tutorial on your beautiful frame! I will be back here to watch it again. Rae! Wowzers! That frame is just gorgeous. I love the colors. You did a great tribute. Love your lo's with Elijah, too. Beautiful! Love the frame! Beautiful work Rae! Love the frame, can't wait to do mine. And you are not biased, Elijah is adorable, so are your L/O's. This hop always seems to amaze me. I hope I can become that talented. such great inspiration and creativity!! too awesome, I am speechless! Love all the details and the truly artistic touch which really 'wow' me...!!! WOW wow wow... Rae, those pages are Gorgeous honey and your project..... I just LOVE it. Beautiful work. Rae, they're beautiful pieces. You are an amazing talent! Eeek!!! These are all fantastic! I LOVE how you did your frame. It is just stunninig. The tip on putting the doily on acetate is wonderful. I wasn't able to get the kit with the frame in it, but I purchased a frame on my own, coz I want to do it so bad. LOL. I'll be referring back to your video!! Oh my, that frame is making me wish I ordered the project kit. Wonder if they have any left, hmmmmm.... The layouts are beautiful too! 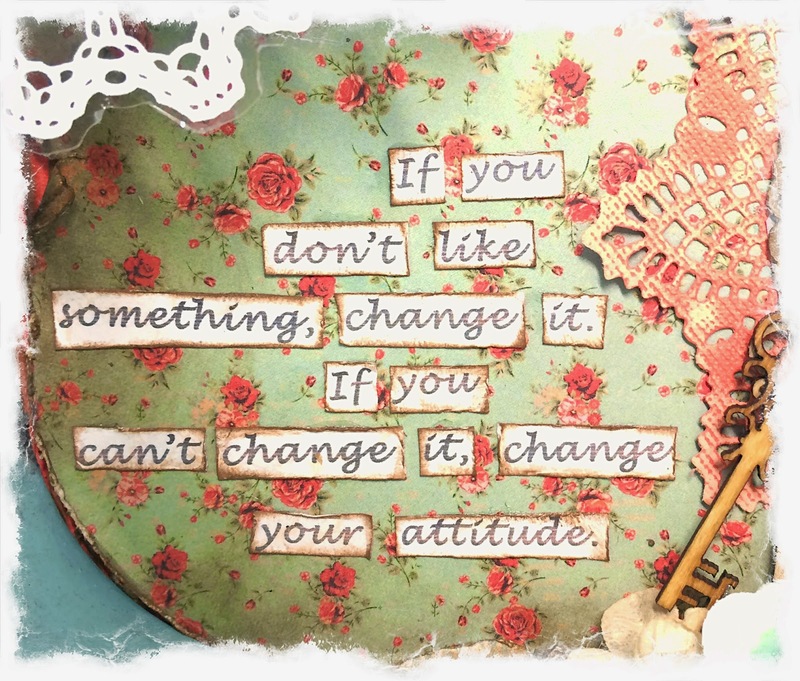 Rae, I just found your blog while doing a search on Google, and had so much fun looking through your fabulous projects. I love all your art, but have to say that your Altered Metal Frame is my absolute favorite. I am now following your blog through both Google and Bloglovin' and will be back to visit again. Thank you for the wonderful inspiration.